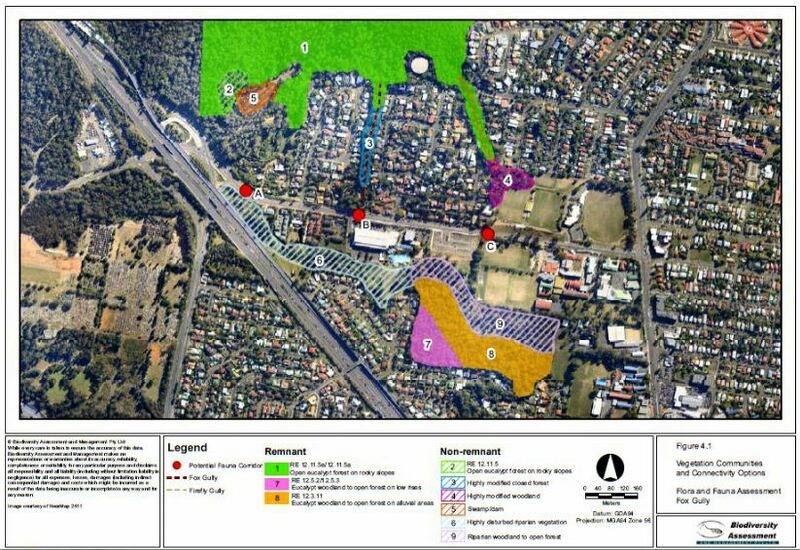 I have updated the Mimosa Creek Precinct Landscape Plan – ver 2.2 with proposed tower location and access. 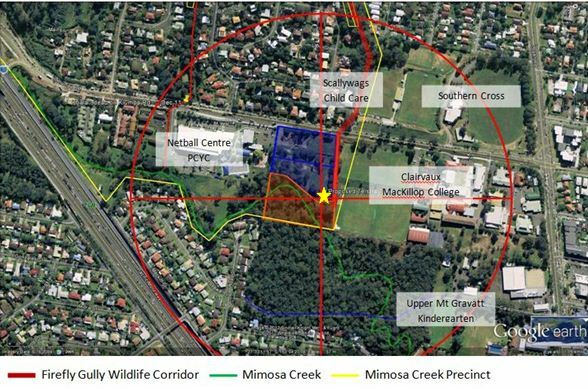 Based on current information this proposal will not impact on development the Firefly Gully wildlife corridor however the safety issues are less clear. 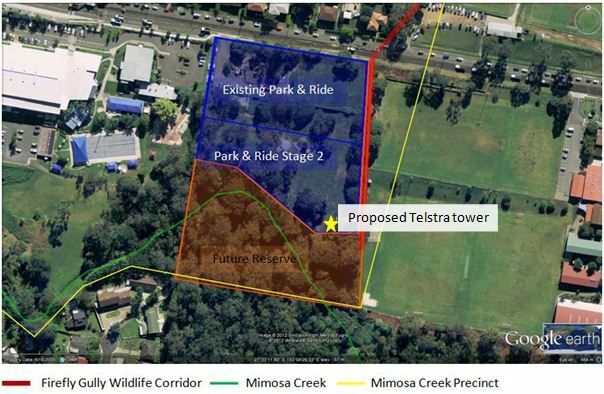 Telstra almost certainly complies with the safety standards set by Australian Radiation Protection & Nuclear Safety Agency (ARPNSA) however we have an opportunity to comment on the proposed tower installation in our community. The science on the long-term health effects of using mobiles and/or spending time near mobile phone towers is very unclear. As shown by these extracts from the ARPNSA fact sheets on electromagnetic energy (EME). My personal experience is that these types of radiation are powerful and almost certainly dangerous. The issue is the level of exposure which is a combination of transmission power and distance from the source. My first experience was in the early 70s when as a trainee PMG technician I visited the Bald Hills radio transmission tower. When you see a bare fluorescent bulb burst into light just by being held near the transmitter, then go into the field and see a two-inch spark drawn from the heavily insulated guy wires which is then tuned so you can listen to ABC radio. My latest experience is with my iPhone. I routinely carried my phone in my pocket with the touch screen against my leg. Over time I found that my skin in that area became hot even when the phone was removed. I have since changed how I carry my phone and the problem has disappeared. 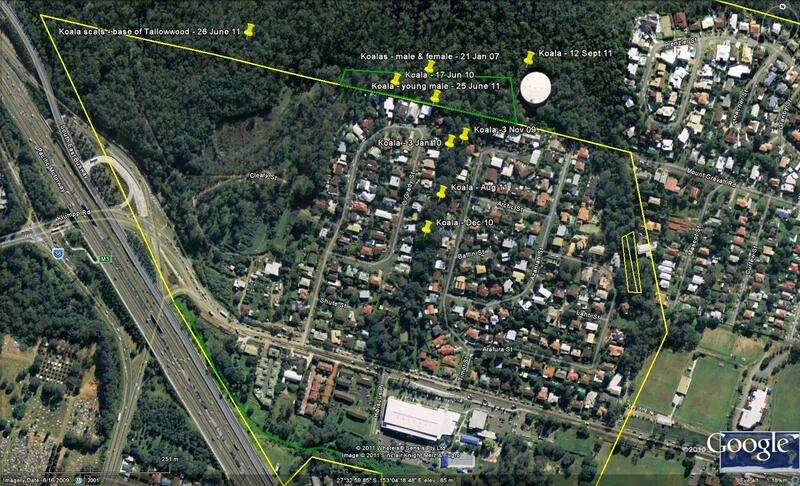 Telstra mobile towers are low power however distance is still an important safety factor. The question is: What is a safe distance? EM Watch suggests a 400 metres as clear safe distance. What do we want for our community? Come along on Wednesday and have your say. 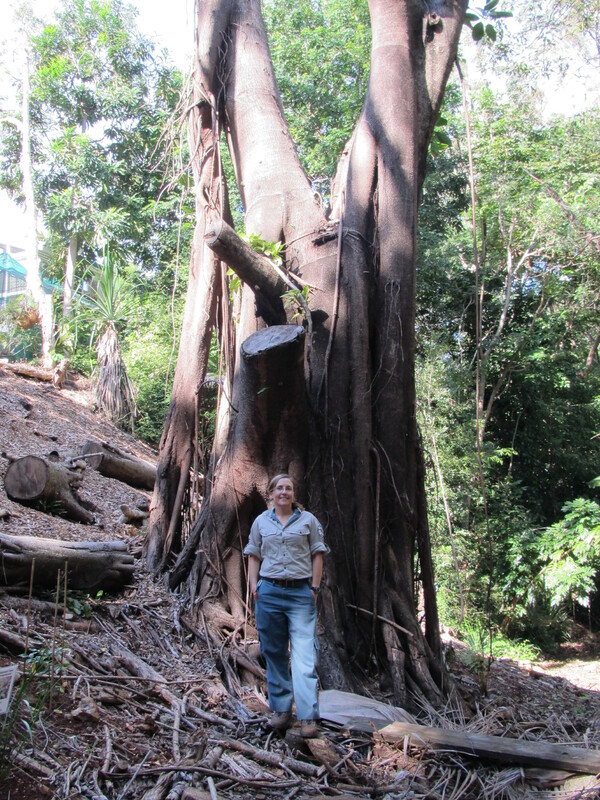 Kerstie Olsson is Coordinator for our Mt Gravatt Summit Clean Up this year. Kerstie is a busy professional however she and her children have enjoyed being part of the Mountain Clean Up in the past. So this year she has volunteered to take on coordination. Why do families like Krestie’s keep coming back to pick-up other people’s rubbish? 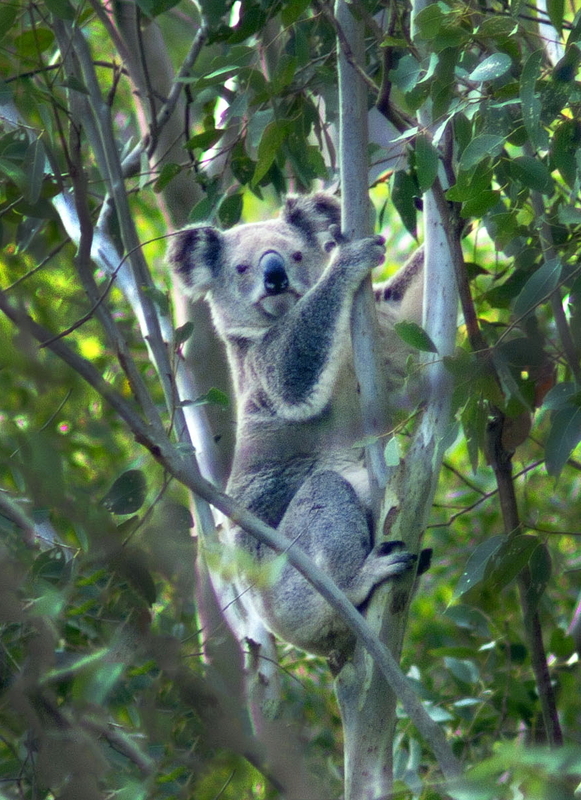 I suspect that like me they love being in the bush combined with the simple pleasure of working alongside a group of enthusiastic cheerful individuals and, of course, there are always the surprises. 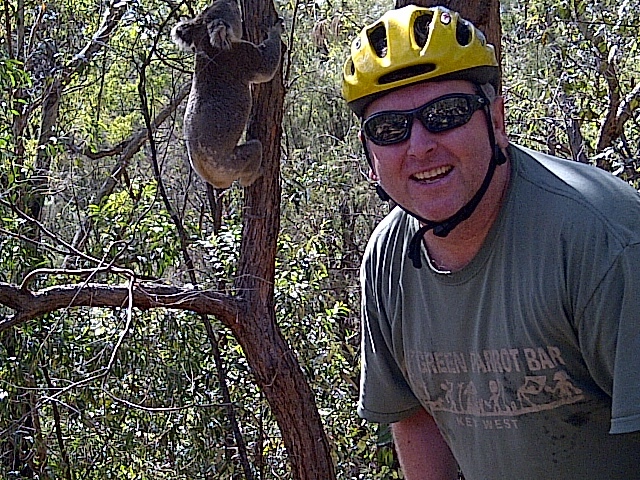 Just ask John McCrystal how he felt to look up and see a Koala walking down the road towards them. 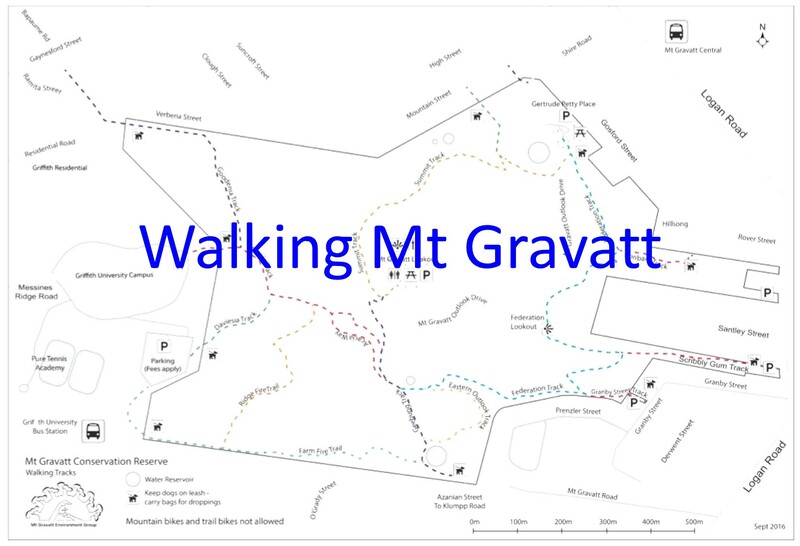 Please join the team at Mt Gravatt Summit – 8am to 10am Sunday 5th March and perhaps have a coffee at Echidna Magic Cafe afterwards. 2012 will see Mount Gravatt Girl Guides and Mt Gravatt Environment Group partnering to landscape the Guide Hut as the first step in our Pollinator Link between Mt Gravatt Reserve and Bulimba Creek. Pollinator Links will bring birds, butterflies and native bees back to suburban backyards. 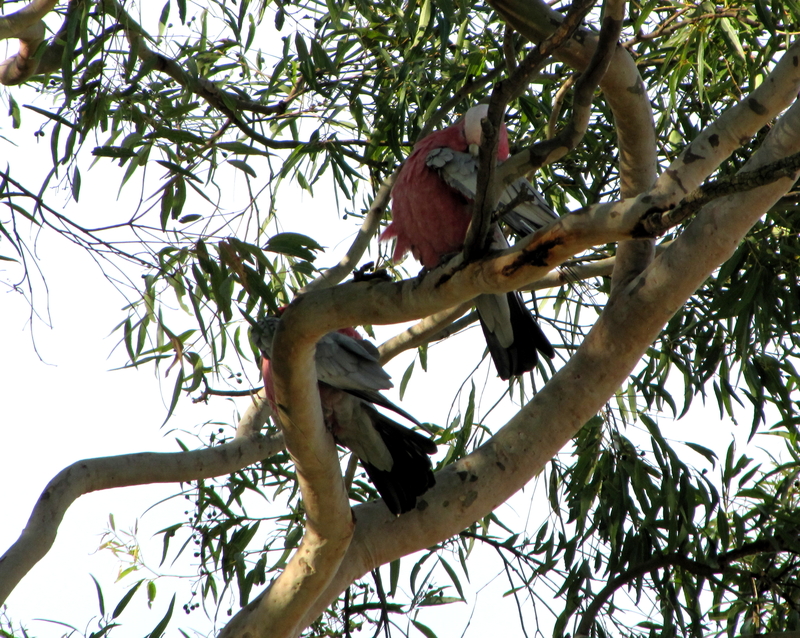 Roly Chapman Bushland is a beautiful peaceful habitat along the banks of Mimosa Creek. Be quite as you cross the pedestrian and you may see turtles sunning themselves on the rocks. 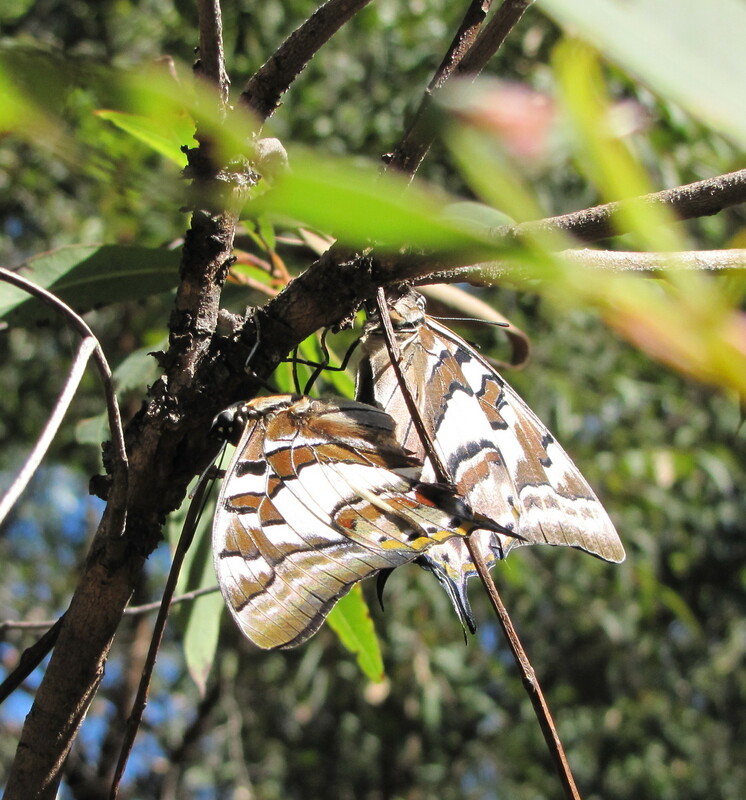 Griffith University Mt Gravatt Campus is an important part of the Mountain habitat and home to amazing butterflies like the Tailed Emperor. 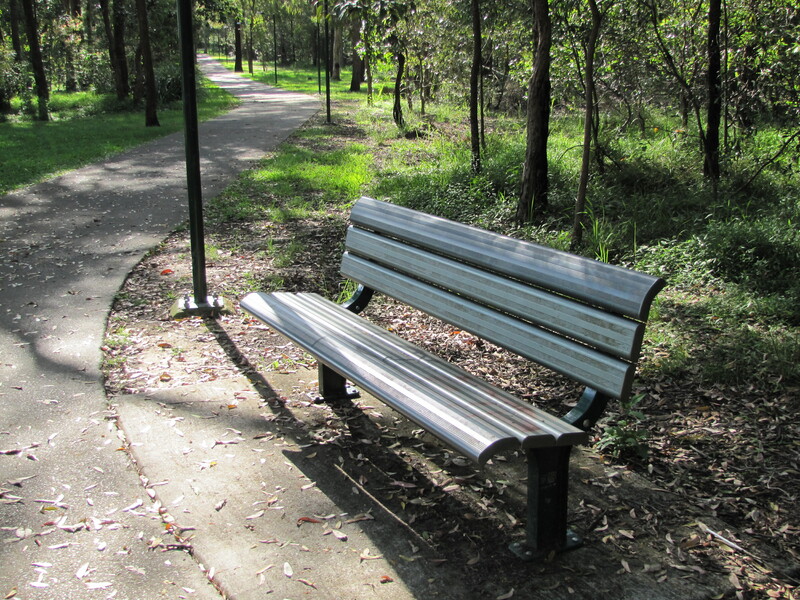 The MacGregor Lions Club team is partnering with Mt Gravatt Environment Group in restoration of the native gardens along this popular walk/cycle path Roly Chapman Reserve. 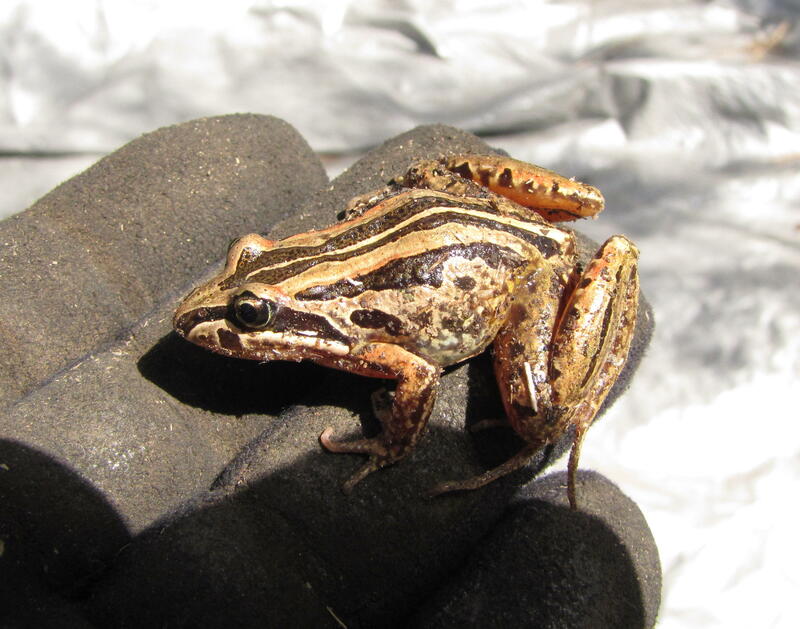 Roly Chapman Reserve is a special part of our local environment supporting a wide variety of native flora and fauna including the Striped Marshfrog Limnodyynastes peronii which we found at the Lions’ working-bee in December. Frogs are a good indicator of the health of a habitat so finding a new species is very encouraging and a powerful acknowledgment of the value of the restoration work of the Lions team. 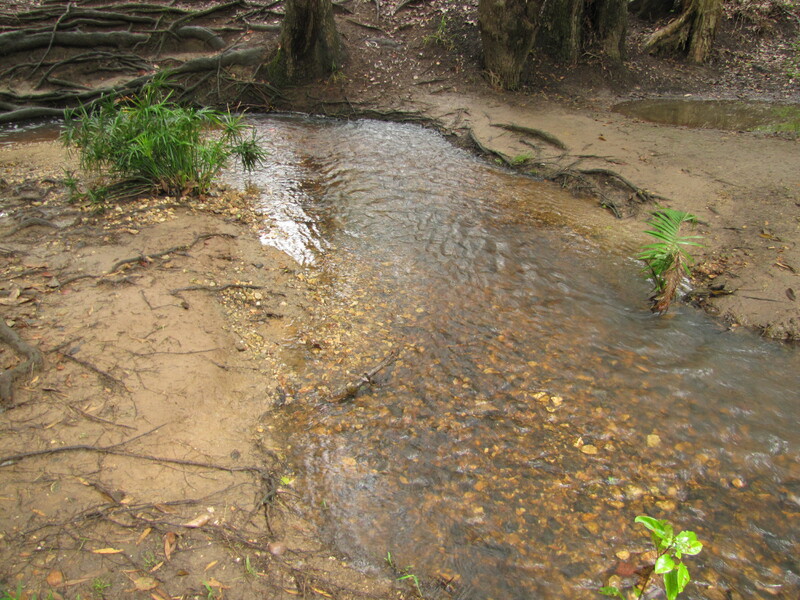 Roly Chapman with pretty Mimosa Creek meandering through bushland is also a key part in the wildlife corridor connecting Mt Gravatt Reserve and Bulimba Creek. Join the team restoring this special place. For details email – Macgregor.Lions.Secretary@gmail.com or contact John Spriggs on 3849 6479. 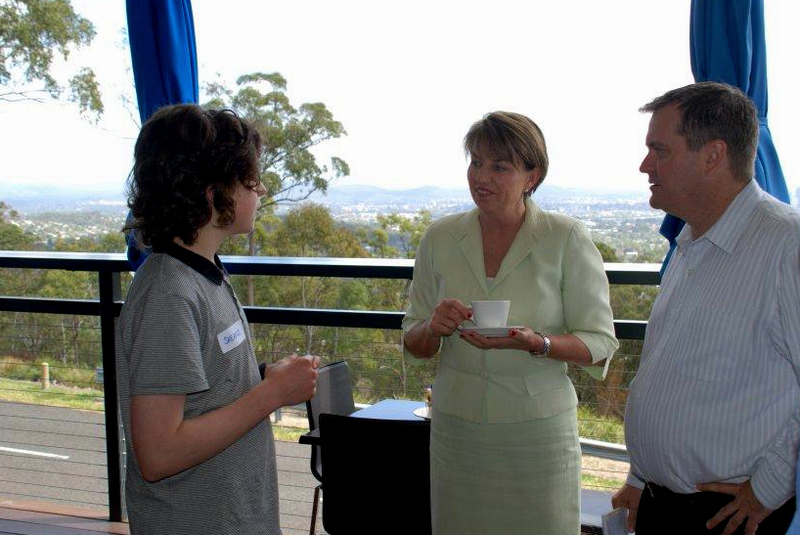 Anna Bligh, Premier of Queensland, joined local member Phil Reeves and community members on Tuesday, for morning tea at Echidna Magic. 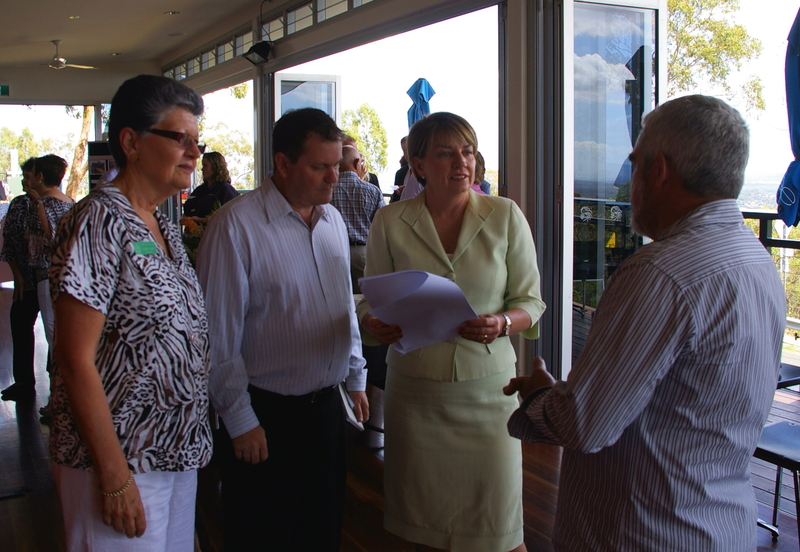 Sheamus O’Connor, Sue Jones and I (Michael Fox) represented Mt Gravatt Environment Group. Sheamus took the opportunity to explain his outlook on the environment to Anna. 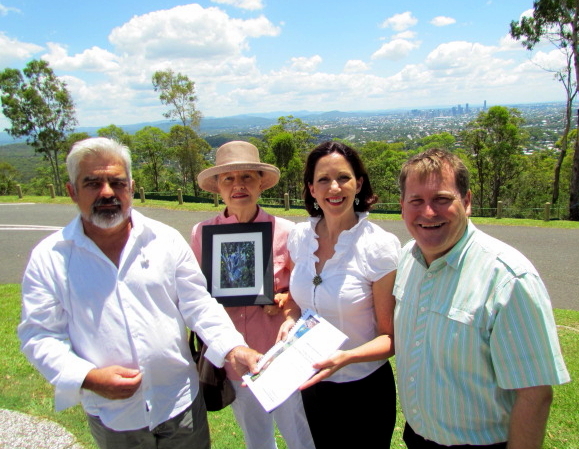 An articulate spokesperson for future generations, Sheamus’ credibility is firmly grounded in his personal contribution to restoration of Mt Gravatt Reserve. Not satisfied with joining the Gertrude Petty Place Bushcare team, Sheamus organised a group of fellow students from Mt Gravatt SHS to replant the degraded area at the entry to the Summit Track. 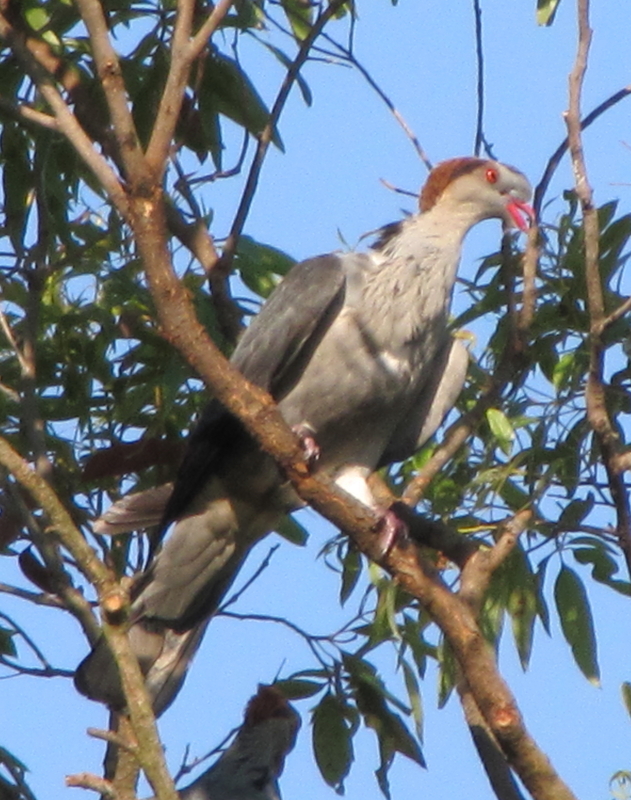 I took the opportunity to brief the Premier about the wildlife in the Reserve and the baseline fauna and flora research being undertaken with a grant from the Department of Environment. 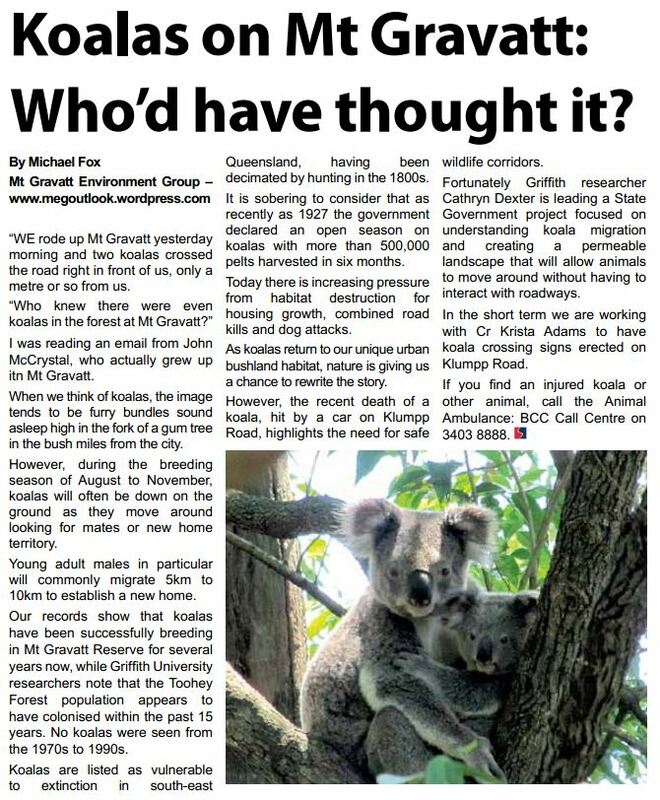 Anna was particularly pleased to hear that Koalas are breeding in the Reserve and that the BAAM researchers had already identified three species of micro-bats and Topknot Pigeons previously unknown to be present on the mountain. 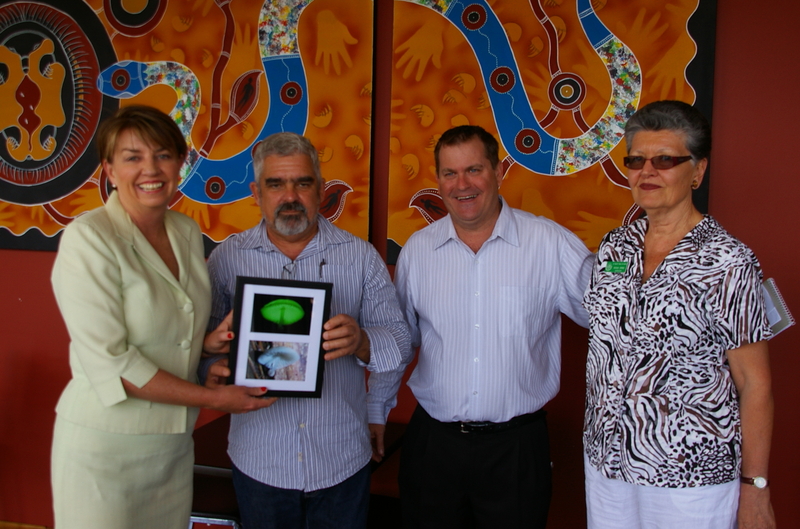 We also presented the Premier with a reminder of the unique nature of this Reserve. The glow-in-the-dark mushrooms Mycena lampadis were only identified on the mountain earlier this year. 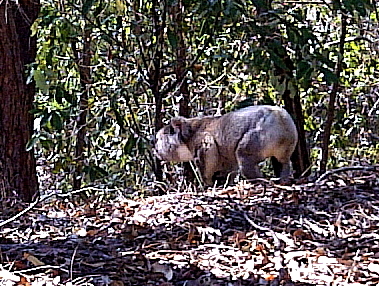 Queensland is a large and amazing state so it is a real pleasure to surprise our Premier with the unique flora and fauna that can be found only ten kilometres from the CBD.